China Housing Bubble About to Collapse? American’s are enjoying good economic times again and although the road to health and prosperity will have some bumps, the motion is set. The United States is the envy of the world again. On January 1st, 2019 (25% tariff), imports to the US will drop significantly, employment will grow, and US companies will multiply and grow GDP. A massive rebuilding of industry, infrastructure, housing, national confidence and more is happening and doesn’t require foreign input. There are varying predictions, however the US has a bright economic outlook. There was a politicized presumption about trade and business which insisted that China must be the world’s factory (or other tax free, low cost labor haven). Irrational but surprisingly persistent. Who Created all the Hype about Asia? International corporations. They used free trade promises, US investment funds, and played a shell game with G7 countries to avoid taxes and pay low wages. And they achieved FREE TRADE access to US markets. They used propaganda and squashed SMB voices in the US. They created the greatest international transfer of wealth in history and it devastated the US economy. Unfairly, China got nearly everything and it went way too far in taking advantage. Now everything’s changing. Americans realize that everything can be made in the US. and that there is national security risk in letting China manufacture everything. Now business is returning to the US. Other countries are watching. In fact, the newly discovered China chip manufactured into computer motherboards is playing out as perhaps the last nail in the coffin for China. Some are wondering if this will ensure a US-China trade war. With other countries not trusting China, the country’s goods production would have no markets. Experts believe the China housing bubble will deflate slower, but that’s not likely. What appears to be happening is China’s leaders are boosting home sales and prices with scary lending practices right at a time when the country is about to get hit with a trade disaster. As you’ll read in this post, serious negative factors keep adding up. Europe and others will see how profitable it is to avoid trade with China. China is about to lose it’s non-reciprocated market access with everyone. The US just made billion dollar tariffs official and this will allow the US to recover economically. And it’s an exciting time to bow out of free trade. France, Germany, UK, US, Australia, and even Canada can begin developing robotic manufacturing, Internet business, blockchain, and more for greater domestic prosperity. And to avoid the insidious process of eternal trade deficits. Without unfair trade, China’s economy will falter badly, inflating consumer debt problems, leading to a real estate price crash that could hit with storm force. China’s housing market is described as a casino, and some liken it to the subprime mortgage disaster that took the US down 10 years ago. Incredibly, even expert economists didn’t see that coming. There are a lot of people concerned that another US housing market crash is imminent, yet few comment on this precarious market situation in China right now where all the fundamentals of disaster are in place. Denial. The housing market in China is a strange one where speculators bid on homes and apartments no one lives in, and where billion dollar ghost cities have no residents. It’s a bubbled up house of cards that’s going to be hit with gale force winds. China is not prepared for the US’s demand for fair trade yet they fully believe President Trump would not cut the umbilical cord. But he will. President Trump has promised the revival of America, that he prefers the tariffs, and that the China trade deficit is entirely unacceptable. American’s love the return of a life with security, jobs and hope. America first will live on long after Trump fades away. The US President has launched the beginning of a trade war that the Chinese have not responded well to. Nor have they been grateful for the advantages of the last 10 years of trade (as Trump points out frequently). As the dominoes tumble, we’ll see the superheated prices of homes and apartments plummet in Beijing, Shanghai, Shenzhen and Guangzhou. As you’re about to see, real estate is foundational in their economy, and US money supports it. Shanghai — Did We Build This City? Few experts would argue that housing markets mirror economic prosperity. They also mirror the flow of cash and intellectual resources throughout the world. Consider Vancouver, Miami, Sydney, and Hong Kong. For more than 10 years, world investment flows and intellectual capital have been heading out of the US to China where it rarely comes back out. But that’s all changing. Already, investment flows are heading back to the US due to US tax cuts, a rising US dollar, and due to President Trump’s insistence about ending unfair trade. Chinese wealthy have enjoyed the good life, but will lifestyles change in the coming years? Should you be watching how China’s super wealthy manage their wealth in 2019/2020? 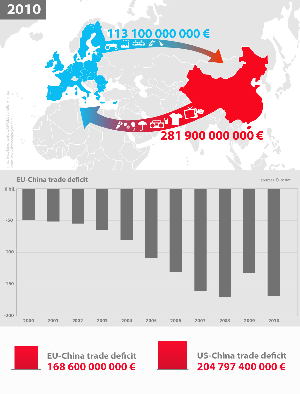 With the US ending China’s party, Chinese companies will flood Europe and other countries with their oversupply, resulting in them facing new tariffs and blocks at their borders. The trade war will get messy, export sales will plummet, and China’s vulnerable, overpriced real estate market will collapse. With China’s export markets shrinking, its revenue will plummet making a China housing crash all but imminent. They’ve had housing market crash worries before in 2016, but that’s when their exports and GDP growth were strong, expected, and driven by US imports and they had low household debt. Debt rising fast. If GDP plummets by 30% by 2020, what will the debt ratio be? 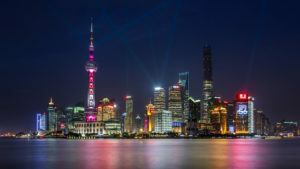 Le Xia, chief Asia economist at BBVA Research, said in its study that China’s property market remains closely connected to, and highly exposed to, its key economic sectors: local government revenue, banks, enterprises and households. Le and his team estimate that a 30% plunge in property prices would cut local government revenue by 780 billion yuan (US$122.04 billion), lift non-performing loans to 2.39 per cent of the total from the current 1.74 per cent within a year, wipe 802.5 billion yuan off the value of stocks, and slash aggregate household wealth by 46.9 trillion yuan. — From South China Daily report. 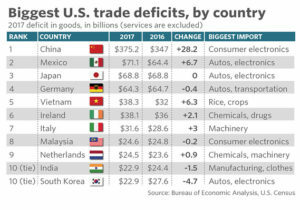 Besides the intellectual property theft that made US businesses perpetually non-competitive, and a staggering $20 Trillion national debt, it is the massive trade deficit with China that’s the crux of the matter. As the US corrects these excesses, China will see its revenues fall dramatically. Let’s not get distracted by government taxes, bank profits, property taxes, developer incentives, currency devaluation, or mortgage rates and all the details housing experts obsess over. Without ongoing US technology research and knowledge, and boatloads of investment money, Chinese competitiveness will fall. The tactics the Chinese government uses are doomed to failure because there’s no more easy money. As the stark reality of the situation sets in, further issues with currency, debt, growing production input costs, restrictions on money flow out of China, and other policies, along with inflation will also cripple the Chinese economy. And the housing crash across China will proceed accordingly. A strong US dollar, rising oil production, corporate profit repatriation, IP and tariff protection, low interest rates, and rocketing optimism in working America, the US is the place to invest or buy a house. President Trump announces China-Sized new $4 billion plant in Wisconsin making TVs using robots. Please do Share this report on the coming China housing crash with others on Linkedin and Facebook. It’s a major global event. This chart below shows the damage the US has to correct. Despite President Trump’s effort, the US trade deficit continues growing. It’s like stopping a train making further abrupt action necessary. Economists and housing research companies have offered a variety of scenarios and forecast models regarding the state of real estate globally by 2020. They’ve invested significant time and resources and made predictions based on past housing, economic data and political trends. The playing field is completely reversing, which should mean the housing market bubble in China will burst. All too often, even the best prognosticators use old data and ignore important trends taking place. Anyone knows that when trends become too strong and severe — causing too much pain, the opposite is bound to occur. The election of Donald Trump to the office of the President of the United States was one of the corrective events. The other was the economic starvation of Britain which caused them to exit the EU. These actions have wiped out all the meaning of historical data. All of it is useless now. Many of the forecasts made are based on the assumption that US money would continue to flow unabated into China, Japan, Mexico and other developing countries. And then would eventually filter through to China, who were “making everything.” If the US and UK had kept pumping this money into the world economy, the forecasts would likely be reasonably accurate. The fact that the forecasters didn’t foresee and gauge Brexit and Donald Trump’s entrance gives us good warning that they’re not very good at their jobs. Global housing and real estate forecasts will have to be altered. With President Trump now balking at the World Trade Organization and insisting on fair trade, developing countries will see their flow of funds severely reduced. The concept of free trade, so popular for the last 30 years is being put into question. Trump has said it doesn’t work anymore. Many international corporations are seeing their profits and markets shrink as countries reinstall trade tariffs to protect their own economies. The global investable real estate universe will expand substantially, leading to a huge expansion in opportunity, especially in emerging economies. Fast-growing cities will present a wider range of risk and return opportunities. Technology innovation and sustainability will be key drivers for value. Collaborating with governments will become more important. Competition for prime assets will further intensify. A new and broader range of risks will emerge. Yes, risks have emerged — the source of cash is drying up. The global real estate market should grow strongly, with a big shift to more investment, construction and resale activity in the US. Competition for assets will increase in US housing markets driving up material costs. The shift in investment back to the US is actually just starting. As US companies gain priority in serving booming US markets, their profits will soar. The US economy is predicted to grow 3% and governments are sure to hold it to that lower amount. The US is not about to embark on 7% to 10% growth that China enjoyed for so many years. That moderation takes the risk off, even though inflation might creep up in the years ahead. Asian countries are headed for a period of severe retraction, and cracks are beginning to show in their overconfident resolve. As money is retracted by China to Indonesian countries, their economies will falter quickly. The retaliatory tariffs charged by China and Canada will have debilitating effects on their economies. The Chinese housing markets and Canadian housing markets are in jeopardy. Without US technology, China is in a worrisome state. Because of past thefts of intellectual property, China has jeopardized its continued business within the US. The transfer of technology know how to China will end, and will starve the whole value chain China had leveraged. China GDP should drop from this point onward. China’s housing is reportedly responsible for a third of their whole economy. Athough investment in real estate has grown in 2018, the exit of investment funds, and disappearance of their top export market will be devastating. The Chinese government is in a state of denial and buying time to fend off the plunge. Real estate costs 38% more in China while average wages are 14% of American wages. Chinese buyers can’t afford Chinese real estate. China’s housing developers can’t sell their properties and instead are renting them out at low yields of 1.5%. Their debts are in the range of 10%. That’s 8.5% negative yield. When the developers collapse, property prices will plummet and new construction stop. Construction of new homes in the last 2 years has plummeted, meaning home and apartment prices can’t fall due to excessive unfulfilled demand. Remember the last US housing crash? Mortgage lending was hot and risky. Mortgage growth in China is at 20% and home prices are out of control. The final word on the China bubble and ensuing crash is that prices are building while exports are about to plummet. If you believe anything can save them from the crash, please leave your comments below. International real estate investors are eyeing property across the US. Although home prices are lofty, there is still room for growth as economies in the Midwest and rustbelt begin a come back. Typcially, international investors have focused on Miami, Los Angeles, New York, and San Francisco, however cities such as Philadelphia with it’s 14% price growth showthe best cities in 2019 will be new list. The outlook for the United States just keeps getting rosier. I agree with every word of this article. That’s a real forecast. Congrats! Spot on. China’s economy has already imploded as far as the average Chinese citizen. The government can rub all they want but will not be able to polish that turd. Companies are fleeing to other cheap labor markets like Vietnam. I feel sorry for the people of China but that’s what they get for having a government pulling the levers of the economy. 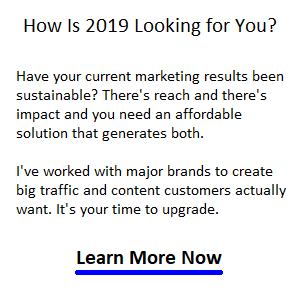 Use this material and links in your blogs and Facebook posts. Keep your clients informed. It’s good to share!